We are conveniently located a short distance from Exit 7E. From the Everett Turnpike, take Exit 7E in Nashua, NH. 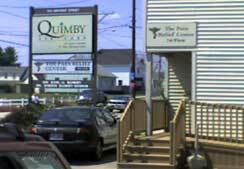 Approximately 1/4 mile from the exit, on the left, you will see a sign for Quimby Eye Care and The Pain Relief Center. There is plenty of free parking.